The poly lumber category came into its own roughly two decades ago, with Poly-Wood leading the way. We have basically carried the product since its inception and have enjoyed seeing the progress made in design, comfort and function. The offerings are limitless, as other quality companies have brought forth their own unique take on the product. Surprisingly comfortable and extremely durable, these products will give you the look of painted wooden furniture for many years with very little maintenance. Made proudly in the USA, Poly lumber products have become very popular and it seems that everyone is trying to get into the category these days. Fortunately, we have carried the category before it was even famous and so sought after, starting with the pioneer, Poly-Wood. We got on board with the owners in the early stages 23 years ago and helped put them on the map and broaden the category nationwide. Seaside Casual was next in line, going after a higher caliber of product and broadening into some modern looks. 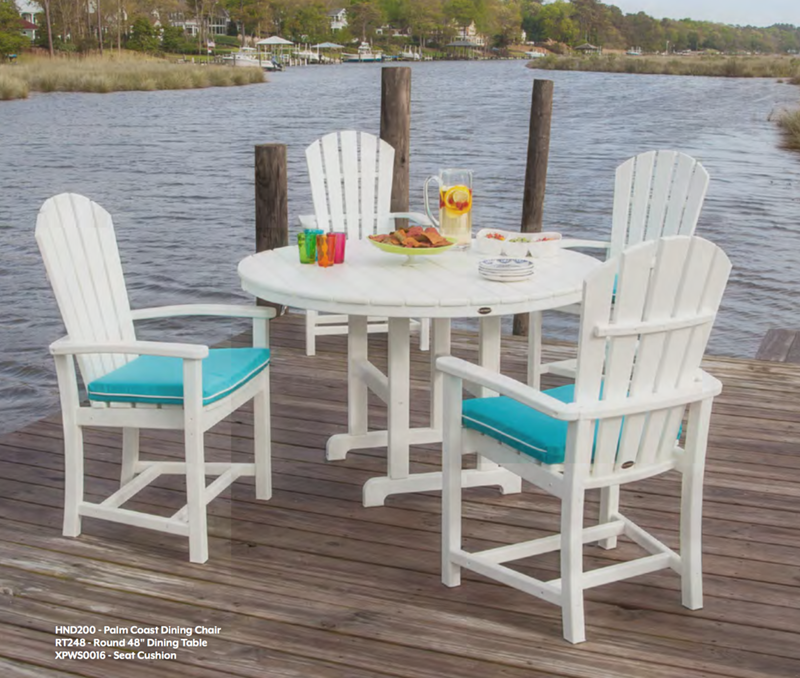 Both companies have grown substantially and utilize quality poly lumber extrusions and stainless steel hardware in constructing long-lasting and easily maintained furniture in a variety of colors. Enjoy! "The highest quality poly company with durable, comforting styles." "The original poly company...proudly sold here for over 23 years."